Image courtesy of Office of the Clerk, U.S. House of Representatives Thetus Sims of Tennessee chaired both the Committee on War Claims and the Committee on Interstate and Foreign Commerce during his tenure in the House of Representatives. On this date, Representative Thetus Sims of Tennessee was born in Waynesboro, Tennessee. Sims attended college and graduated from the law department of Cumberland University. A lawyer and local politician, he was elected as a Democrat to the 55th Congress (1897–1899). Sims served 12 terms in the House where, as a member and later chairman of the Committee on War Claims, he filed petitions for pension relief for Civil War veterans and their families. Sims also served on the Committee on Interstate and Foreign Commerce, which he chaired in the 65th Congress (1917–1919). In 1918, Sims made a considerable effort to ensure passage of the 19th Amendment. Sims, whose arm was in a sling while he recuperated from a painful injury, lobbied colleagues. A witness recalled, "in spite of agonizing pain that he suffered, [Sims] strove…to bring over one or two of his Southern friends to our side or to prevail upon them not to vote at all." With Sims’s efforts, the bill passed the House by a 274–136 vote with 17 present, but died in the Senate. Sixteen months later, Sims voted for a revised bill, H.J. Res. 1, which passed the House in May 1919 and the Senate in June 1919. By August 1920, the requisite 36 states ratified it as the 19th Amendment to the Constitution (with Tennessee's approval sealing its ratification). 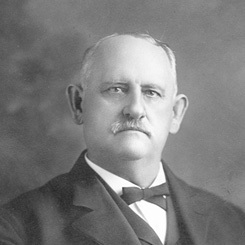 When Sims lost the 1920 primary election for nomination to the 67th Congress (1921–1923), he resumed his law practice in Tennessee. Sims eventually resettled in Washington, D.C., where he resided until his death on December 17, 1939.